This was made as a gift for a friend who enjoys music. 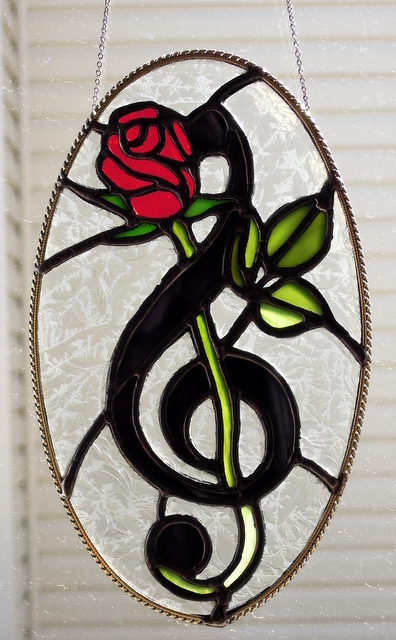 The combination Rose and Treble Clef measured approximately 4 inches wide x 7 inches high and contained 37 pieces of glass. We surrounded the oval with flexible U channel.